I'm back for another review! This time round i'm sharing with you an amazing product that i found through the youtube-mosphere. lol. A lot of youtubers such as Tati and Kathleen had raved about this before. After being psycho-ed by them, i decided to try it myself too. As you can read from the title (obviously), its the RCMA No Colour Powder! Said to be similar to the pricey Laura Mercier's translucent powder (which i also have), it really does what it's said. 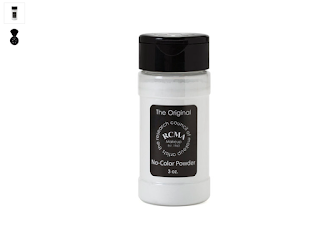 Actually i find the RCMA powder to be slightly better than LM's translucent powder. And basically the above described is what i want to say. haha. After i put on a little foundation + concealer, i set it with no color powder. It immediately sort of blurs my imperfection and my skin looks like baby skin. I'm so fking serious about this. I also tried using this powder straight away without putting on foundation. Although the result is not as perfect as with a foundation, but it really hides my imperfections. However, just a word of reminder: My skin has improved a lot since the last breakout. No red and big pimples and no deep scars. (read my acne journey here) Overall, my skin is pretty smooth. Thus the powder can hide my little imperfections perfectly. It's like magic la. I'm not sure if i'm exaggerating here or not but i'm very confident that this is a good product overall. Plus, it is so affordable!!! My face doesn't go cakey nor does it makes my skin dry or whatsoever. It sits on my face very nicely. Oh! And i don't cake up my face with powder (i.e. i don't bake my face). I pour about 1 dollar coin size of powder out to my balm, gently dap it with a kabuki brush and gently distribute on my face. If you are also looking for a finishing powder, i highly recommend you to try this product. It is affordable and it has a lot of good reviews too. Thus, no harm trying (before you decide to burn your pocket with a Laura Mercier Translucent Powder).